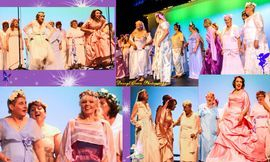 Since its genesis with 6 ladies in 1978, the Esk Community Choir has been continuously welcoming a passing parade of members to its ranks. 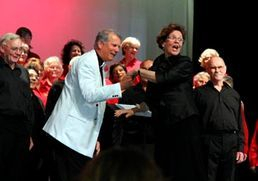 Founded by its present Choir Director, Alexis FitzGerald OAM, so engaging is participation in this Choir that many of its members join with ‘the locals’, travelling to weekly practices from as far afield as Brisbane, Laidley, Gatton, Toowoomba and Bribie Island. After forty-one years of living its motto “Service in Song”, this wonderful Choir now has an SATB membership of close to fifty. Having recently celebrated their 40th birthday year with some amazing concerts and events, Alexis, accompanist Margaret Philp and choir members are now gearing up for another year of spectacular events in 2019, a highlight, their 6th overseas tour, this time to Italy. As a Community Choir, there are no formal auditions imposed upon singers wishing to join, though a basic knowledge of music is advantageous. Membership does, however, guarantee fun, fellowship, very low-cost therapy and of course, SINGING – underscored by an ever-growing love for beautiful music. Choir rehearsals are held from 6.30pm to 9.00pm every Tuesday night in the Assembly Hall of the Esk State School, East Street, Esk. The members are, on occasion, encouraged to audition for the smaller Esk Ensemble – a committed performance group within the Choir. Alexis and her Choristers are quietly proud of their 41 years of achievements which have included many local concerts and charity performances. As far back as 1993, they staged their first full Musical Production, Oklahoma with many others to follow. 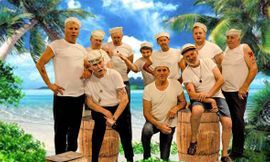 They have entertained audiences with Theatre Restaurants, collaborations with many other Choirs, Orchestras and Ensembles and on two occasions, with International Choirs and Conductors at the Sydney Opera House. 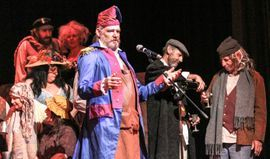 In 2017 audiences were wowed by the Choir’s two fully costumed and staged presentations of a Gilbert and Sullivan Spectacular including colourful performances of some of the acclaimed duo’s most enduring songs and the comic opera, Trial By Jury. Highlights amongst many memorable 2018 performances were the spectacular Opening Concert bringing together well over 100 past and present members, an hilarious Theatre Restaurant, A Knight to Remember, which thrilled audiences in Esk and Gatton and in October, a Gala Choral Concert, a collaboration of Choirs who have been a part of the ECC journey together with the celebrated Davonski Concert Orchestra. Another worthy musical legacy has been the Somerset Music Awards. This biennial event, initiated by Alexis in 2004 and hosted by the Choir, is open to participants of any age who are resident in the Somerset or Lockyer Valley areas. It was again held in August,2018 at St Agnes’s Anglican Hall, Esk with a record number of entrants, both vocal and instrumental, affirming the high standard of musical talent from these regions. A flow-on effect has seen many choir members and others, under the tutelage of Alexis, take it upon themselves to improve their knowledge and understanding of singing and performance skills by sitting for St Cecilia School of Music examinations with exceptional results. 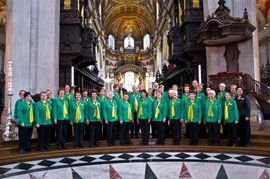 Since 2006, many of the Choir members have formed 'Touring Choirs', the most recent, their fifth, being their 2016 performance tour to the Netherlands, Belgium, Germany and Austria. All these tours have encompassed Concerts, Choral Festivals and Competitions throughout places mentioned as well as Ireland, England, Italy, Vienna, Prague and Germany. Life-affirming were the thrill of performances at Budapest's magnificent Matthias Church, a rare invitation to perform in London's St Paul's Cathedral and during the 2016 tour, performances in both the Brussels Cathedral and the breathtaking Salzburg Dom. 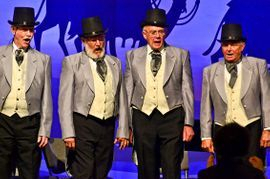 Equally exhilarating along the way were the standing ovations from grateful audiences in rustic little churches, Rehabilitation Centres and Aged Care facilities. Rehearsals are presently high on the agenda for the next amazing performance tour to Italy scheduled for April/May this year. Tuesday nights at the rehearsal hall are times and a place where lovers of music are always welcomed and encouraged to participate, perchance to become Choir members. To sing with this Choir is to understand the joys of Choral singing and a celebration of what Choral music can bring.